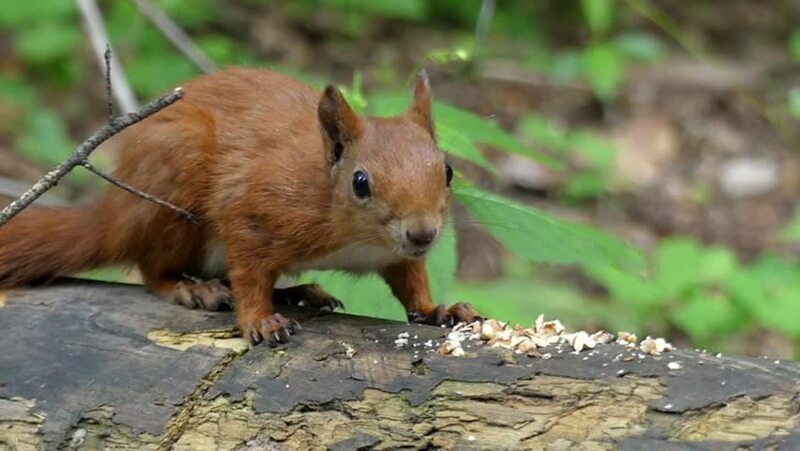 the Red Squirrel Eats the Nuts in Slow Motion. Beautiful Shot. hd00:14the Red Squirrel Eats the Nuts in Slow Motion. Beautiful Shot. hd00:29Hand Puts Nuts on a Stump, and a Red Squirrel Jumps on a Tree Stump and Starts to Eat. the Action in Real Time.